With Saturday’s announcement of André “iddqd” Dahlström joining NRG, both Reddit and Twitter were abuzz with rampant speculation on what the remainder of the roster may look like. The speculation and excitement from the community is only natural given the high profile of both the organization and the players being signed. I have an issue, however, with how many people made their arguments. Rather than make Reddit posts on the subject, I figured it would be simpler for me to compile my thoughts into a single article. In this piece, I want to address several issues that I think many fans, and even professional teams, may be overlooking when it comes to building and conceptualizing rosters in Overwatch. I can’t tell you how many comments I’ve read saying “X team needs an Ana player” or “X team needs to find a top Reinhardt.” While I do understand what the commenter means, that sort of logic is horribly nearsighted. 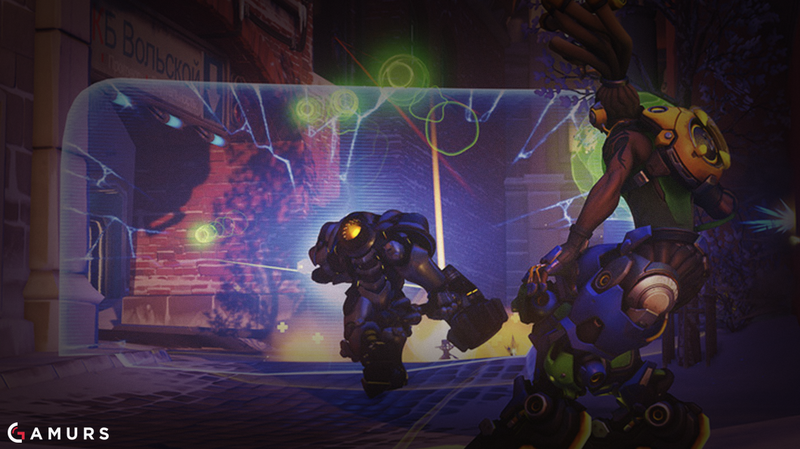 Right now the Overwatch meta exists in a form in which players can play a single hero on every map, regardless of whether they are on attack or defense, and it is either an optimal or perfectly viable choice. The obvious example is Ana, a versatile and powerful support who sometimes exists as a solo healer. If you were to name any given map with any composition and tell me that Ana fits, I would agree with you. That being said, it is a poor idea to select a player for their Ana prowess. The crux of the issue is that overwhelming odds are that Ana will not always be the meta crusher she currently is. The community even thought Mercy was immovable from the meta, and at the bottom of that very article the question was asked whether Ana’s addition to the game would affect Mercy’s play rate. A whopping 88 percent of people voted no. Of course hindsight is 20/20, but this issue extends past instances when heroes get added or adjusted. At one point in time, running Reinhardt on king of the hill (KOTH) maps was considered sub-optimal, even after the one hero limit was globally implemented. Instead, we saw the emergence of Winston and Zarya being the front-line. There were no patch changes notable enough on either Reinhardt, Winston, or Zarya to make teams shift to frequently implementing a Reinhardt on KOTH. Instead, quite simply, tank players got better and their teams learned the fight-ending power of Earthshatter. As the community collectively learned the power behind the pick, its prevalence rose to the dominant shape it’s in today. The point behind all of this is that selecting a player because of their ability to play what is currently meta is a short-sighted endeavor. Now, if you’re trying to select a last minute substitute player for a single event then that is a very different situation. If your goal is to build a roster for the long term, you are ignoring the simple fact that the game changes. As Harsha aptly phrased it, versatility is the future of Overwatch. Instead of selecting players to play single heroes, we should consider players based on their roles within a team. Main tank, secondary tank, hitscan, projectile, so on and so forth. If a team is built around roles instead of heroes, they become more resilient when the meta changes, which naturally bodes well for the longevity of the team’s success. Aside from increasing the longevity of a roster, the more important reason to build a team around roles is to ensure that the team has a clear-cut identity. It is more important to know your strengths and weaknesses as a unit and play around them than it is to simply put the best players in the world onto one team. Just a few days ago, we were fortunate enough to get our first glimpse of Team EnVyUs (NV) on the latest patch. They had an incredibly dominant series over BK Stars, during which just one map slipped through their fingers. After all this time, it remains a difficult argument to make that NV is not the best Overwatch team in the world currently. Once you examine the team’s roster, however, you realize that they do not posses the best player in the world at each position. HarryHook is an elite level DPS player, but certainly not the best in the world. Mickie spent most of this time on Zarya and succeeded, but is far from the best Zarya in the world. And I’m sorry InternetHulk, but you simply are not the best Lucio in the world. But who cares? It’s completely irrelevant given how complete NV’s understanding of their identity is. Notice that in this meta, NV ran Genji for all of a single minute over a four map series. Instead, they stuck with what they excel at, abusing their strong tank players to keep their backline DPS safe. HarryHook isn’t the all-star carry like Shadowburn, Mickie doesn’t compete with Hoon, and Hulk’s individual play is outweighed by Tobi’s, but none of that matters. Within the specific way NV plays, I’m hard pressed to identify anyone I’d like to replace. Much of this I will credit to InternetHulk, who by all accounts seems to be the smartest person in the game currently with his ability to organize his team. The point is, it’s important for a team to figure out how they will win. Not how they can copy someone else, but how their specific team will operate. Whether that be a triple threat dynamic like Kongdoo Uncia, fully reliant on one star DPS player like FaZe Clan was, or a reactive team style like Lunatic-Hai. This allows each player to feel more comfortable within the team, because if it is done properly then each player will have a clearly defined position on the roster. With defined positions, each player can focus their practice time to improve individually. Everyone knows their individual roles and responsibilities within the game. If an error is made, it’s easier to point it out. If a team is selected for star power alone, you can run into issues with resource allocation. For example, if a star tank player is paired with a star DPS then both may be accustomed to receiving Nano Boosts in critical moments and the stat bonuses that come with it. Perhaps one of your players realizes that without the full attention of a professional Ana, they are not as immortal as they thought. Picking a team with clear carries resolves the potential issues and arguments about resource allocation. On the topic of arguing, we’ve now run into our first out of game issue: personality conflicts. This is a topic that fans are far too willing to make definitive judgments on. All too often, comments along the lines of “he seems like a nice guy” are used as evidence that a player would be easy to work with. Judging a player’s personality by their public persona is like rating a team based on their online play; It doesn’t make sense. Players have a vested interest in ensuring that fans like them, which makes it easy to slightly fake their personality if necessary. This isn’t to say that every professional player is secretly evil. The point is that without firsthand knowledge, we simply can’t know what a player is truly like. Personality traits are the kind of information that only previous teammates and managers could know. The public rarely gets to hear about these issues until they rear their ugly heads. “Taimou… has good aim.” Sound familiar? Interpersonal issues can affect the best players, even on winning teams, to the point where roster moves are needed. Even with the series that are practically reality shows that some League of Legends teams produce, we still do not know the whole truth due to the heavy editing process that those shows endure. Simply due to how young Overwatch is as a game, many players have little time working as professionals on a team when compared to other esports. As the scene continues to develop and the players gain more experience on teams, hopefully these kinds of issues will lessen in frequency. Regardless of how developed the scene becomes, it will always be difficult to impossible for the community to accurately comment on personality characteristics because of their lack of evidence. As such, I urge the community to avoid citing personality traits. Potential personality conflicts are an issue that few people can ever properly comment on, but even fewer can provide us with a correct assessment of the finances that go into an esport organization. I’ll admit, it mostly seems like magic how organizations manage to stay afloat. Operating a team is not cheap. Six player salaries, travel costs, maybe a team house… all of these things start to add up incredibly quickly. But this shouldn’t be news, and certainly isn’t a new phenomenon in Overwatch. We do, however, have one huge upcoming event in Overwatch that so far is unprecedented in scale, the Overwatch League. Due to the bidding process to secure a spot, it seems likely that some serious money will have to be forked over to secure an organization’s spot in such a new esport. So what does this have to do with building rosters? Well, it could go one of two ways. First, teams may be unwilling to pay to buy out contracts of players that would fit their roster due to the anticipated cost of entering the Overwatch League, leading to potential roster stagnation. Alternatively, because of how well Blizzard is marketing Overwatch, large sports investors may continue entering the scene. When you start examining the amount of money it costs to operate an NFL or NBA franchise compared to an Overwatch team, you begin to realize that esports is chump change to these sorts of investors. So the second possibility is that we begin getting massive roster moves to prepare teams for the Overwatch League because money ceases to be a serious issue. If this is the case, I hope the rosters are at least built well enough to create a competitive league. Overwatch brings its own unique difficulties to building a successful roster. As the teams learn the game, the process will be refined. For now, we’ll have to live with that, however, we can still maintain logical discussions and conceptualizations about hypothetical rosters. Is the community guilty of speculating rosters without really considering the outcome? Let us know your thoughts by tweeting us @GAMURScom.